There’s actually a place called Castle in the Clouds back in New Hampshire, not too far from where I grew up. I’ve never been, but friends have said it’s a beautiful spot, and many a wedding has been held there. [NOTE: Originally written on August 6, 2013] Today marks the anniversary of the D-Day Invasion by Allied forces in France. Since I have recently visited the very area of the world where the invasion took place, I felt today would be the perfect day to share about the sights and sounds in Normandy. 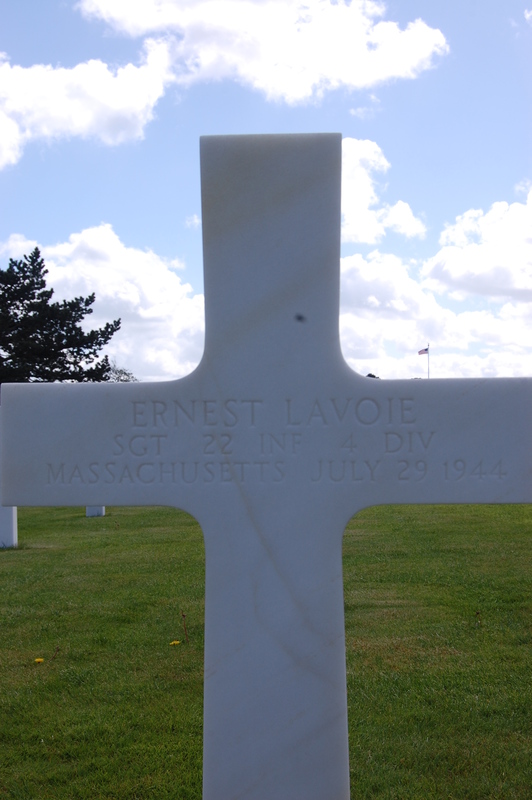 I’d heard about the Normandy American Cemetery and Memorial quite a few times over the course of my life, but it wasn’t until last year when a dear friend made a visit and happened upon a grave site that bore not only my family name, but the middle name of my father, as well. After that, the memorial site was a no-brainer to be added to My List, as I was curious to discover more about the history of the war and the sacrifice of so many soldiers. Although the cemetery wasn’t the only thing we visited on the trip, it was by far the most moving. Normandy is a beautiful region, with gorgeous seascapes, cute tourist-towns that dot the shores, and weather that is reminiscent of being back in New England. But nothing impacted me so much as the museum on-site at the cemetery. The museum was designed to immerse visitors into the soldiers’ experience, and it does exactly that. Everything from personal objects to videos containing real footage and photographs to interviews with soldiers who served and family members of those who were lost is on display, and does nothing short of transporting you into what life must have been like around the time of the infamous D-Day. On a lighter note: The Normandy American Cemetery and Memorial is actually staffed by American (and British) employees, and their presence is immediately felt. As soon as we pulled into the cemetery parking area, something stood out that was distinctively un-French: order and organization. From parking in designated rows (not just wherever you want), to lines that were actually kept and moved at a reasonable pace, I was easily reminded that I was on American soil. Needless to say, my short run-in with orderliness was very refreshing!